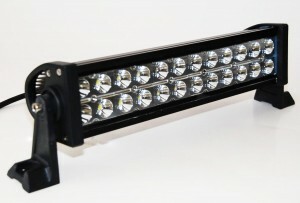 High powered LED lights look great on any vehicle, but are essential for prerunners. Flying off road at night can be a dangerous task but with the recent advancements in LED technology it can be much safer. With thousands of lumens illuminating the path in front you, it is easier to react to boulders, ruts, wild animals and hey even an unexpected rock wall. Rigid Industries paved the way for high performance LED lights for prerunners, trophey trucks, jeeps and pretty much every type of vehicle. However, these premium lights come at a premium cost. 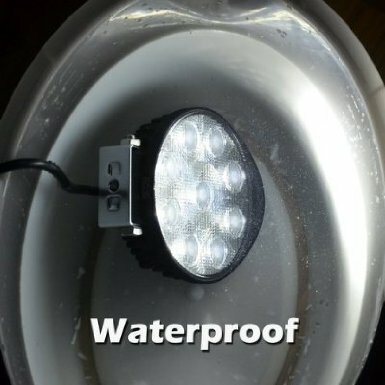 Thats why I have made a round up of some cheaper led off right lights for you. 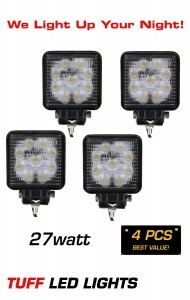 While they may not be as durable as rigid lights they definitely get the job done and can save you up to 75% off. 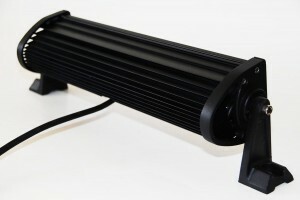 Tuff LED makes many models that are similar in size and style to rigid. Here are a few examples. Installation The lamp features stainless steel mounting hardware plus alloy brackets for mounting to flat surfaces. 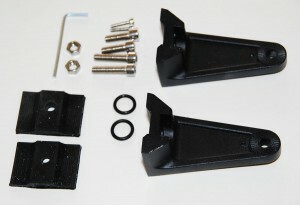 This allows the lamp to be used as an interior roof or wall lamp inside enclosed trailers or canopy. 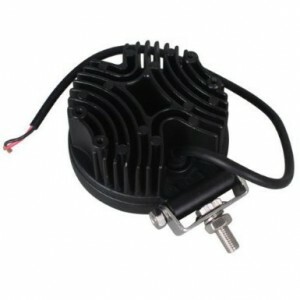 This is a great light for the front of your chevy, toyota, or ford prerunner! Off Road LED light bars also are needed on farm equipment and generally any vehicles that you want to cruise at night on; snowmobiles, jeeps, buggys, rhinos, you name it! Best Deal! 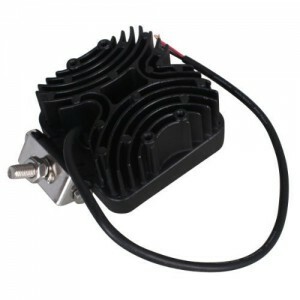 4 Square 4×4″ LED Lights for 100 bucks!